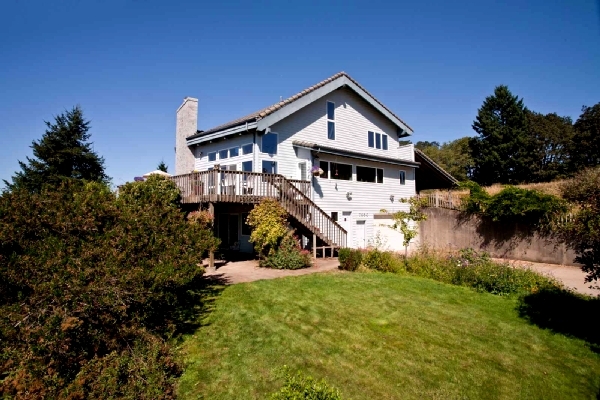 Yamhill Vineyards Bed & Breakfast is a little known gem located in the heart of the Willamette Valley wine country. The Inn is surrounded by vineyards, spectacular views and has two large guest rooms, each with private baths offering a relaxed country retreat. The Oregon Bounty breakfast features one of five varieties of vineyard grape juice and local produce. Yamhill Vineyards Bed and Breakfast offers guests a quiet country setting with spectacular views, sunsets, and star gazing. Each of the two large guest rooms has a queen bed, table, chairs, and private bath. As part of the Oregon Bed and Breakfast Guild Green Certification Program, Yamhill Vineyard’s intention is to care for you and the earth with respect and gentleness.